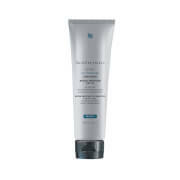 Targeted for aging skin of the neck, chest, and hands, this revitalizing treatment is specifically formulated to brighten and redensify difficult to treat skin areas. The neck, chest, and hands are prone to skin aging as a result of time and overexposure to environmental elements. 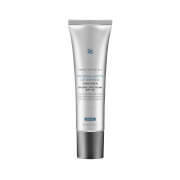 This dual-action treatment contains precise concentrations of targeted skin brightening and plumping agents to reduce discoloration, redensify skin, and restore a healthier appearance. Helps to remove surface pigmentation. Firms skin by promoting collagen production and cell renewal. Helps prevent future discoloration from appearing. Apply a thin layer twice daily to neck, chest, and hands or as directed by a skincare professional. Aqua, Water, Eau, Cyclohexasiloxane, Glycerin, Sodium Tetrahydrojasmonate, Butylene Glycol, Alcohol Denat., Limnanthes Alba Seed Oil, Meadowfoam Seed Oil, Dipropylene Glycol, Polysilicone-11, Dimethicone, Bis-Peg/Ppg-16/16 Peg/Ppg-16/16 Dimethicone, Ammonium Polyacryldimethyltauramide, Ammonium Polyacryloyldimethyl Taurate, Polymethyl Methacrylate, Hydroxyphenoxy Propionic Acid, Phenoxyethanol, Potassium Hydroxide, Salicylic Acid, Inulin Lauryl Carbamate, Helianthus Annuus Seed Oil, Sunflower Seed Oil, Caprylic/Capric Triglyceride, Dimethiconol, Sodium Hyaluronate, Vigna Aconitifolia, Vigna Aconitifolia Seed Extract, Hydroxyethylcellulose, Pentaerythrityl Tetra-Di-T-Butyl Hydroxyhydrocinnamate, Argilla, Magnesium Aluminum Silicate, Disodium Edta, Sodium Cocoyl Glutamate, Rosmarinus Officinalis Leaf Oil, Rosemary Leaf Oil, Pelargonium Graveolens Flower Oil, Lavandula Hybrida Oil, Cucumis Sativus Fruit Extract, Cucumber Fruit Extract, Linalool, Citronellol, Curcuma Longa Extract, Turmeric Root Extract, Sclareolide, Rosa Spp, Rose Flower Oil, Jasminum Officinale Extract, Jasmine Extract, Citric Acid. Not quite sure if it's working as advertised. I guess I expect more immediate results, so perhaps my lack of patience is the source of indifference. But I'll continue to use it and if it works well, it'll also go on my face! I do love the SkinCeuticals line. I've now used more tha half a bottle of this new product and I love it. It has proven to be very effective at moisturizing my neck and decolte area. I have seen a significant difference especially on my upper chest. It is worth the money. It is a must try product.